I’ve been using iFlicks for years. If you want the movies and TV shows you add to your iPad to look as good as the ones that you buy direct from Apple, it’s perfect. It grabs the episode info, including plot summaries and credits, as well as adding proper artwork. But that’s not all. 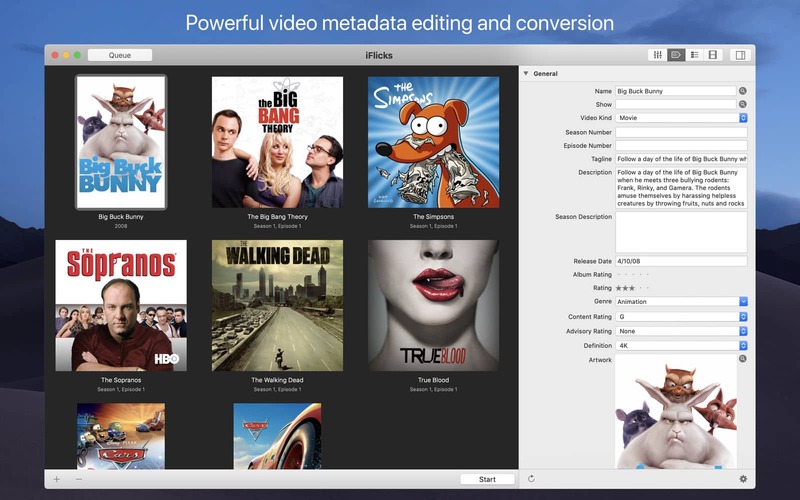 iFlicks also grabs any subtitle files in the same folder as the video file, and adds them. If needed, the video will be processed and converted to the correct format for iOS. Look at that beautiful artwork and metadata. In practice, the conversions take moments, as iFlicks is simply repackaging the same video data in a new wrapper. Usually no actual transcoding is necessary, as almost all video you feed the app will be H.264 under the hood. You also can automate much of the work. For instance, iFlicks can watch a folder and automatically process any files you add to that folder. 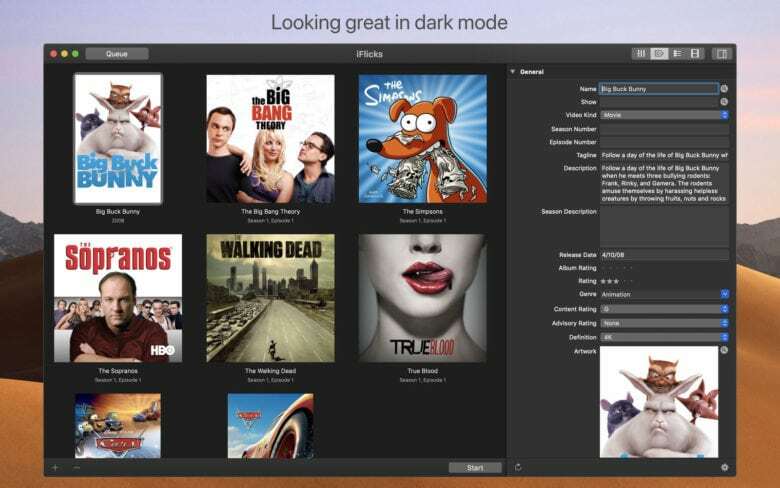 What’s new in iFlicks 3? iFlicks 3 brings HEVC passthrough, which means that it can process HEVC-format videos as instantly as H.264, whether the are SD, 4K or 1080p. You can also create custom presets in the app, letting you choose exactly how it processes certain files. For most people, the built-in presets will continue to be more than enough. But if you’re fancy, knock yourself out. Finally, the app now supports macOS Mojave’s Dark Mode and the MacBook’s Touch Bar. A free trial is available, and you can grab the full version from the Mac App Store for $35.